We’d love your help. Let us know what’s wrong with this preview of A True Novel by Minae Mizumura. A True Novel begins in New York in the 1960s, where we meet Taro, a relentlessly ambitious Japanese immigrant trying to make his fortune. 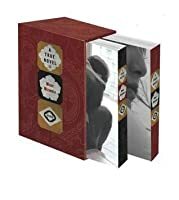 Flashbacks and multilayered stories reveal his life: an impoverished upbringing as an orphan, his eventual rise to wealth and success—despite racial and class prejudice—and an obsession with a girl from an affluent family that has haunted him all his life. A True Novel then widens into an examination of Japan’s westernization and the emergence of a middle class. To ask other readers questions about A True Novel, please sign up. A Japanese retelling of my favorite classic Wuthering Heights? Where do I sign up? Minae Mizumura writes beautifully about the life of Taro Azuma. Taro’s a man who intrigues her family with his enigmatic and sometimes dark personality. Mizumura meets this man as a private chauffer for her father’s boss. As time goes on, the only chattering heard about Taro is that he’s slowly making a name for his self and acquiring massive amounts of wealth. The information of Taro’s history is unknown until Mi A Japanese retelling of my favorite classic Wuthering Heights? Where do I sign up? Minae Mizumura writes beautifully about the life of Taro Azuma. Taro’s a man who intrigues her family with his enigmatic and sometimes dark personality. Mizumura meets this man as a private chauffer for her father’s boss. As time goes on, the only chattering heard about Taro is that he’s slowly making a name for his self and acquiring massive amounts of wealth. The information of Taro’s history is unknown until Mizumura runs into a past student who tells her the story he’s heard of the cryptic Taro Azuma. This handsome man who hails from Japan and is talked about as if a legend, is Mizumura’s starring character in an attempt to write a “true novel”. Mizumura explains in the prologue (perhaps the longest one I’ve ever read) that “Inovels” are very popular in Japanese literature and are primarily stories that are true to life and neither have a beginning or end since that is of course how true to life they are. Mizumura found that the classic novel Wuthering Heights was a story that is so true to life and told thousands of times. This is where she got the idea of how to structure Taro’s life into a “true novel”. “True” in the sense that it is based off of an actual true story or a man’s wonderful rise in a new world that would not let him remain unconscious to that fact that he was an outsider. Yusuke happens upon a cottage in a remote part of Karuizawa. His bike is in disrepair after a torrential rain leaves him stranded, keyless, and at the mercy of two strangers. These strangers turn out to be Fumiko, a woman assumed to be the maid, and the legendary Taro Azuma. Yusuke is offered lodging at this home and is baffled by the presence of a woman and man. He was certain there was no one else at this small home. He inquires to Fumiko about the presence of these other people. She explains they are the ghosts of Taro’s one true love and her husband. It’s here she takes over the novel and narrates the past life of the infamous, mysterious Taro Azuma and how these ghosts came to be. From page one A True Novel is enthralling and hard to step away from. Although I’ve read Wuthering Heights many times, I was more interested in the lives of these characters than comparing what Mizumura kept from the original Bronte novel or decided to abandon. Similar to the original 19th century novel, there is so much more to this novel than the surface of a love story. Essentially, there are many true loves in this novel. Mizumura mentions the talk of a Japan that she longed for dearly as a child growing up in New York. She tried to hold on to the memories of that Japan for as long as possible only to find the Japan she once knew was no more. This place of her childhood was now a westernized-concrete jungle. She’d lost her true love to time and change. Similarly to Taro Azuma who lost his one love to the same circumstances. Taro’s enduring love for Yoko pushed him to the limit and embodies the true agony of not being loved wholly in return. He was raised in a home where he suffered abuse, was undereducated, poor, and essentially cast off as a non-person because of his questionable heritage. His only salvation from this hell was in the old woman Mrs. Utagawa, the wealthy grandmother of Yoko. A he matures into an adult, it is in this world Taro realizes he doesn't belong. After an abhorrent fight with Yoko, Taro journey's to the land of opportunity in the hopes of someday returning a man worthy of her stature. Upon his arrival, he finds that she is married with no plans of ever leaving her husband. I could go on and on about the characters, the plot, the themes, and how much I love A True Novel by Minae Mizumura but… that would be a disservice to future readers. Ultimately, this novel explores the circle of love and how time is unwilling to allow anything to remain the way we hope they would. Five stars for the first half of this novel. I am eagerly (and impatiently) waiting for the publisher to send me the second half. Don't be scared off by the page count. When I requested this book, I wasn't sure if I was up for almost 900 pages. But I flew threw the first half in 3 1/2 days, without rushing. I suspect when I get to the end I will want it to go on even longer. I will want to know more about Taro and Fumiko and Yusuke and the author, who inserts herself very cleverly into the novel. Five stars for the first half of this novel. I am eagerly (and impatiently) waiting for the publisher to send me the second half. Don't be scared off by the page count. When I requested this book, I wasn't sure if I was up for almost 900 pages. But I flew threw the first half in 3 1/2 days, without rushing. I suspect when I get to the end I will want it to go on even longer. I will want to know more about Taro and Fumiko and Yusuke and the author, who inserts herself very cleverly into the novel. First of all, the highest praise to Juliet Winters Carpenter and Ann Sherif, whose translation of “A True Novel” sets the bar higher for literature in translation. So often books translated from Japanese have a stiff, quaint feel, but their work on “A True Novel” is gorgeous; fluid, emotionally true. The characters spring off the page, completely realistic and believable whether they wear kimono or jeans. “A True Novel” is being touted as a retelling of “Wuthering Heights,” which is only part of the story. Don’t get too into this or you’ll go nuts trying to figure out who is Mr. Lockwood or Nelly Dean or Mr. Earnshaw. Can this really be Cathy? The story flits back and forth in time, making harder to settle on a single candidate for the role. Is it the author, who cleverly places herself in the narrative? When you see who it will be (neatly revealed at the end of the first volume) you’ll be compelled to wonder how that’s going to work as you crack volume two. Set in Japan and New York at the end of World War II, the story is beautifully reeled out to include characters from various classes and levels of education, from different regions and with varying degrees of Westernization. The two volumes give it that Victorian novel vibe. But this book is not like anything else I’ve read. I felt as though I had entered a new world, where the emotions were universal but the setting was rare. I highly recommend “A True Novel” to anyone who loves fiction filled with nuance and truth. Minae Mizumura has written several other novels, and I hope translations are in the works. The term “true novel” once played a crucial role in the development of modern Japanese literature. The period when Japan opened its doors to the West, beginning in 1868, coincided with what might be called the golden era of the Western novel. It also coincided with a period when an evolutionary theory of civilization--one which included the idea that art evolves toward higher forms—prevailed with passionate conviction in the West and spread to the rest of the world. It was inevitable that Japanese novelists would also be moved by a desire to reproduce what they perceived to be the most highly evolved form of literature. For them, and perhaps for other non-Western Writers, the type of novels written in nineteenth-century Europe, ones where the author sought to create an independent fictional world outside his own life, came to represent the ideal. Of course, what she is writing here is based on true event, so it is in fact a “true novel” but I was intrigued that the title wasn’t just a mildly clever juxtaposition, but was rooted in literary history. I’ve already referenced the frame of the prologue, but there is one further frame to the core story – in the prologue a young man, Yusuke, visits her and tells her the story of Taro Azuma, a man Mizumura knew in her youth (and a primary focus of the prologue). The first true chapter focuses on Yusuke, and the book does so for another 150 pages before Fumiko takes up the story. Of course, she provides a great deal of backstory, so it’s not until page 430 that Taro (very young) makes his appearance. So, really, it’s a frame-frame-tale. These opening ~430 pages are quick reads, and they never ceased to be interesting or to hold my attention. They also both begin to suss out some of the major themes of the novel, which are more fully developed in the main story (family, legacy, economic status / economic divide). But, still, I have to pretty strenuously point out that the actual story doesn’t even begin to take focus for 430 pages, as that might be off-putting for you. In fact, the entire first volume (450 pages – over half of the 854 page total) is basically backstory and setup for the “true novel” itself in Vol II. That’s not in any way to say you can skip it – it’s mostly all necessary – but there is a lot of build up here. Oh, you’re probably aware of this – it was mentioned in absolutely every single write up of this novel, and is heavily alluded to at one point in the prologue (though for some reason not truly explicitly stated) – but this is a true story that happens to closely parallel Wuthering Heights. Obviously it’s not a 1 to 1 match, but the outline is there. I will note that I’m taking the whole “true” aspect of this at face value – I feel like I read an article at the time this came out that verified that the events had actually occurred – but I can’t locate that now. It’s possible it’s all fiction – kudos to the author if it is – but I believe the “true” aspect to this is not in fact exaggerated. With that said, there are striking parallels and connections between the event of the prologue and the events of the novel proper, which seems to strain credulity a bit – I like these moment though, as I’m a big fan of structure and novelist framework, especially when the manufactured edges of the construct peek through, or appear to. If you know the story of Wuthering Heights you likely know much of what to expect here; the basic story is much the same, as is the tone of the novel. It’s been probably 20 years since I read Wuthering Heights, but I loved it when I read it, and found this book to be distinctly enjoyable. It’s parallels – even if they are in fact true – are much too great to elevate this book to too high of a stature, but the whole is excellent, and definitely recommended if you are a fan of the original. Perhaps the best tribute I can pay this novel is that after 854 pages I was still enthralled and disappointed that it ended. At face value this is a Japanese re-imagining of Wuthering Heights, complete with a Heathcliff (Taro), Cathy (Yoko) and Edgar (Masayuki), the maid Nelly who tells much of the story (Fumiko) and the Lockwood listener to the tale (Yusuke). You don't need to have read Wuthering Heights to appreciate A True Novel, indeed it may be better not to have done so and avoid the risk of Perhaps the best tribute I can pay this novel is that after 854 pages I was still enthralled and disappointed that it ended. You don't need to have read Wuthering Heights to appreciate A True Novel, indeed it may be better not to have done so and avoid the risk of over-analysing the similarities and differences in the story and characters. Indeed Mizumura herself has warned against that, saying in an interview "I basically was not trying to replicate Wuthering Heights. I even consciously avoided reading Wuthering Heights while I was writing A True Novel so that I wouldn’t get caught up in the game of trying to figure out how to replicate the novel". Nevertheless it is difficult not to make certain comparisons. The Fumiko character is notably and deliberately much more developed than Nelly in Wuthering Heights, indeed A True Novel would best be described as Fumiko's story, in which Taro and Yoko play a key part, rather than the reverse. A True Novel manages to skilfully capture the changes in Japan from the pre-war period, through occupation, to the economic miracle and the more recent lost decades. And this is best expressed in the novel by the changes to the class structure and the role of maids, as encapsulated by Fumiko. A True Novel also goes beyond a simple re-telling of Wuthering Heights, and explores the nature of novel writing itself. Mizumura has added an additional layer of narrative separation, inserting (a semi-fictional version of) herself into the novel as the author telling the story that she has heard from Yusuke ("Lockwood"), which he in turn heard from Fumiko ("Nelly"). The author character was also acquainted with Taro ("Heathcliff") in a part of his life unknown, other than by rumour, to the other characters and hence is able to add to the story. The preface telling the story of how the author came to hear the tale is 165 pages long, and indeed would actually constitute a fine novel in it's own right. Mizumura uses this preface to explore the debate in Japanese literature between two forms - the "true novel" and the "I novel" - one normative and the other descriptive, former based on the 19th Century Western novel, "where the author sought to create an independent fictional world outside his own life" and the latter, closer to the soul of Japanese literature, "writing truthfully about themselves, being true to oneself, and, ultimately, to life". The preface to the book essentially serves as the "I novel" and the tale of Fumiko, Yoko and Taro as a "true novel" (hence the title), albeit the author/narrator's claim to have finally reached the holy grail of Japanese literature, the ultimate A True Novel, is meant to be taken somewhat tongue in cheek, as Mizumura has said in an interview "I was trying to be a bit naughty vis-à-vis the Japanese novelists of the past". As a fascinating aside, one reason she advances for prevalence of the I-Novel form in Japanese is that "personal pronouns are elusive, constantly shifting, often absent" - I'm not sufficiently familiar with Japanese to comment, but what she says is certainly true of the Korean language. The author narrator also contrasts herself to Bronte, saying "We had different temperaments, EB and I: she was a gifted poet, I am incurably prosaic" - although she does herself a massive disservice if one takes this as the more common (e.g. "lacking imaginativeness or originality") rather than literal meaning of prosaic. The book is also physically beautiful - two separate volumes in a slip case, printed on glossy paper and with interspersed black and white photos. The photos serve an interesting purpose as they are neither referred to in the text, nor directly of the objects and places in the book - e.g. photos are of "A cemetery" rather than the specific cemetery where a character is buried. The photos are also notable for their absence of people - which gives the whole book a rather Sebaldian feel. The translation by Juliet Winters Carpenter is excellent, and the book was a worthy runner-up in the 2014 Best Translated Book Award, indeed had it not have been up against Krasznahorkai/Mulzet with Seiobo it could have won in a normal year. A little perplexed by its genre-like title, in early last January I first came across this book with its sombre brownish covers denoting a sort of Japanese design. I wondered then if I had time and motive to keep going till the end; however, I was attracted by the two lines in capital letters above and below its 7-line synopsis proclaiming "SPECIALLY SELECTED FOR THE JAPANESE LITERATURE PUBLISHING PROJECT (JLPP)" and "THE WINNER OF JAPAN'S PRESTIGIOUS YOMURI LITERATURE PRIZE" (back cover). There A little perplexed by its genre-like title, in early last January I first came across this book with its sombre brownish covers denoting a sort of Japanese design. I wondered then if I had time and motive to keep going till the end; however, I was attracted by the two lines in capital letters above and below its 7-line synopsis proclaiming "SPECIALLY SELECTED FOR THE JAPANESE LITERATURE PUBLISHING PROJECT (JLPP)" and "THE WINNER OF JAPAN'S PRESTIGIOUS YOMURI LITERATURE PRIZE" (back cover). Therefore, I decided to have a go with this handsome paperback with its highly reader-friendly 12.75 pt Perpetua fonts (p. iv) with a map of Karuizawa, a page of two family trees of the Saegusas and the Shigemitsus as well as its 28 black-and-white sentimentally related photos and my preference of Prof. Juliet Winters Carpenter whose translated short stories I've enjoyed reading since a few years ago. Since it was my first encounter with Ms Minae Mizumura so I thought reading its plot, key characters, summary, etc. was essential. After visiting this web page: https://en.wikipedia.org/wiki/A_True_..., I found its information essential and helpful regarding her brilliant writing style which might impede my understanding and enjoyment. While reading on and on, I couldn't help but notice how her readers have gradually learned and understood something called 'Japaneseness' in terms of those key characters' manners, mindsets, ways of life, etc. in which we find most of them unique as reflected in their behavior, attitudes, fortitude, etc. Therefore, these characteristics have long enticed innumerable tourists to visit Japan to know Japanese people and enjoy going sightseeing that include famous temples, shrines, castles as well as food, sherry blossoms, Mt Fuji, Koyasan, shinkansen, and so on. ''Taro!'' Yoko's voice rang out sharply. The night air swayed, and her hair, which lately she'd worn nicely smoothed down, seemed to fly out in all directions. "You got married, didn't you?" He came to his senses and answered quietly: "No." "I waited and waited for you." Slowly she was giving way to tears. "Even afterward. I waited, and waited, and waited ..." Her face scrunched up, making her look even more like the little girl she had once been. "For years I waited for you." With a wail, she turned and ran barefoot out onto the porch and down the steps. Taro quickly started after her, but the low table was on his way, and by the time he reached the porch she must have already gone out through the gate. I had been standing transfixed, watching the two of them, but after a minute I too slipped on my sandals and went out. Looking up the road from beside the gate, I saw them together in the moonlight. This book is often billed as a Japanese retelling of Wuthering Heights, which is fair enough given that in the lengthy prologue Minae Mizumura explicitly acknowledges that this is her goal. And while this novel certainly owes its central, tempestuous relationship and main character archetypes to Emily Brontë, the ways in which A True Novel builds upon and departs from Wuthering Heights is what makes it a worthwhile read. Where Wuthering Heights is rooted in the desolate moodiness of the 19th-cen This book is often billed as a Japanese retelling of Wuthering Heights, which is fair enough given that in the lengthy prologue Minae Mizumura explicitly acknowledges that this is her goal. And while this novel certainly owes its central, tempestuous relationship and main character archetypes to Emily Brontë, the ways in which A True Novel builds upon and departs from Wuthering Heights is what makes it a worthwhile read. Where Wuthering Heights is rooted in the desolate moodiness of the 19th-century Yorkshire moors, A True Novel unfolds in Japan after World War II and traces the country's astonishing rise in productivity and wealth to become the "economic miracle" of the postwar years. And while Wuthering Heights examines the intensity of individual heartbreak, vengeance, and self-destruction, A True Novel looks outward and explores the ways in which characters don't doom themselves but are instead caught up in the tide of history and of how things like class, gender, nationality, and economic booms and busts can determine one's destiny. The story also benefits from focusing largely on the "first generation" characters—that is, Mizumura's versions of Heathcliff, Cathy, and Nelly, all of whom are more sympathetic (and dare I say complicated) than their source material. Consummate maid Fumiko, in particular, gets humanized in a way that Nelly Dean never does, and the relationship between Fumiko and Taro Azuma (Mizumura’s Heathcliff) is especially fascinating. "A True Novel" is what it says, a true story (or rather a re-imagined story) set in Japan and the US that spans several decades between WWII and the 90s. It starts with a very long (160+ page) autobiographical prelude where the author shares her experiences with the protagonist of the novel. This novel is a retelling of a simple love story between two individuals from a different socioeconomic class. This is probably the only similarity between "A True Novel" and "Wuthering Heights". Overall, fa "A True Novel" is what it says, a true story (or rather a re-imagined story) set in Japan and the US that spans several decades between WWII and the 90s. It starts with a very long (160+ page) autobiographical prelude where the author shares her experiences with the protagonist of the novel. Take Emily Brontë's Wuthering Heights, move the story to post-war Japan, stretch it to twice its original length, and you have A True Novel. The premise sounds great and the two-volume set is absolutely gorgeous. Looks can be deceiving however. Not only is this novel a chore to get through at times, but the pages literally fall out of this cheaply-bound puppy like sheet music inevitably falls from the music stand on the night of the performance. It's been some years since I read Wuthering Heights Take Emily Brontë's Wuthering Heights, move the story to post-war Japan, stretch it to twice its original length, and you have A True Novel. The premise sounds great and the two-volume set is absolutely gorgeous. Looks can be deceiving however. Not only is this novel a chore to get through at times, but the pages literally fall out of this cheaply-bound puppy like sheet music inevitably falls from the music stand on the night of the performance. It's been some years since I read Wuthering Heights, but what stuck with me was the story of Catherine and Heathcliff. I recall a brief introduction to the story as told by a housekeeper. And I remember the story getting lost in the midst of the text occasionally. Overall, I really enjoyed Emily Brontë's only known work. A True Novel copies many of these elements, but somehow manages to stretch the most uninteresting parts to the maximum. The novel's introduction introduces us to Fumiko (Nelly), the woman who narrates the larger text, who tells the story to Yusuke (Lockwood) who becomes an editor and tells the story to our novelist, Ms. Minae Mizumura (Brontë). Much of the same nesting of stories happens in Wuthering Heights, but here it spans the length of 165 pages. Finally, we get to the novel, but now Fumiko needs to fill us in on the history of the families, her role, et cetera, et cetera. It's past page 400 before the reader is given a spark between the child Yoko (Catherine) and the child Taro (Heathcliff). The story certainly becomes more interesting in the second half, but it still suffers under the strain of too much detail, details about Fumiko's marriages, jobs, and the relationships every character in the book has with every other character. The dynamics between Yoko and Taro were great. Though neither character got the proper introduction and it's never quite clear what really brought these two together, the actual drama is very well played. One of the best books I have ever read, hands down. Reading this was like peeling an onion, layer by layer, tears leaking every step of the way. At its heart, this book is about love, but it's also about jealousy, racism, class mobility, the westernization of Japan post-WWII & the emergence of the middle class. I think this book is better than the source its adapting: Wuthering Heights. The English translation is the best English translation of any Japanese source material I've ever read. I hop One of the best books I have ever read, hands down. I think this book is better than the source its adapting: Wuthering Heights. The English translation is the best English translation of any Japanese source material I've ever read. I hope that more of Mizumura's work gets translated into English. I kind of wish I hadn't read this book...because all other romance novels I have read subsequently seem so cliche and dull and happy. In some scenes, I had to walk away from the novel since I became way too absorbed...Jesus, this book is so disturbing and heart breaking it's going to haunt me for the rest of my life. A really fantastic book that did so many things at once and all of them well. As others have said, both a loose retelling of Wuthering Heights and a multilayered exploration of postwar Japan. Also about America and Japan, wealth and poverty, nature and modernization, the effects of time and much more. Moving and amazing constantly insightful. Storm raging outside. Me, reading Minae Mizumura's book inside. While the storm is still raging outside, I just finished the book. Loved it. Longer review soon. Primero que nada, lo que todas las reseñas que circulan sobre "Una novela real" cuentan: la vida de Minae Mizumura en Nueva York, su resistencia a hablar el inglés, su añoranza por su lengua natal y su vida dedicada a leer literatura japonesa. En esa casa de Nueva York donde vivió de chica, conoció a Taro Azuma, un joven japonés que llegó a los Estados Unidos como “chofer” (algo extraño para los inmigrantes japoneses que solían emigrar con puestos gerenciales en compañías niponas). La novela, ent Primero que nada, lo que todas las reseñas que circulan sobre "Una novela real" cuentan: la vida de Minae Mizumura en Nueva York, su resistencia a hablar el inglés, su añoranza por su lengua natal y su vida dedicada a leer literatura japonesa. En esa casa de Nueva York donde vivió de chica, conoció a Taro Azuma, un joven japonés que llegó a los Estados Unidos como “chofer” (algo extraño para los inmigrantes japoneses que solían emigrar con puestos gerenciales en compañías niponas). La novela, entonces, trata sobre Taro Azuma, su progreso en Estados Unidos hasta convertirse en millonario y también trata sobre su pasado a través de otros dos narradores: Fumiko y Fuyuke. Así también conocemos la historia de Fumiko (una empleada campesina que lo conoció y vivió con él) y las hermanas Saegusa, tres japonesas de familia privilegiada para quienes Taro y Fumiko trabajaron. Y por supuesto, en el medio, una historia de amor y resentimiento entre estos personajes. A lo largo de todas estas historias, esta novela preciosamente narrada, muestra lo que fue la occidentalización de los japoneses en la época de la posguerra, su ascenso económico, los cambios de la ciudad y también cierta resistencia de los japoneses más “ortodoxos”. Es una novela larga, de 600 páginas, que se disfruta en los bellísimos detalles que atraviesan la trama. En la forma de ver, desde los ojos nipones, una vida occidental que tenemos naturalizada, en los olores (de las hojas en el otoño, del ramen, del cáñamo que se quema para la época del Bon) y en los colores de Karuizawa y Oiwake, lugares donde acontece la mayor parte de la novela. Minae vive su “japonofilia” no solo en la literatura sino en la fascinación que le produce la seda de los kimonos o en el desprecio que le genera su hermana al verla tan occidentalizada y usando frases en inglés. Dice sobre su hermana: “para mis adentros pensaba cómo podía hacer esa observación una joven que se maquillaba los ojos con un exceso de sombras y delineadores y que se había depilado exageradamente las cejas”. Cuando Japón empieza a enriquecerse, la imagen de los japoneses en EEUU cambia, son personas que llegan al aeropuerto, sacan sus billetes y vacían las tiendas. Pero antes de esto, Taro Azuma empieza a forjar su fortuna: “Tuvo la oportunidad que no tienen las personas del estrato más bajo: tener una visión de conjunto de la sociedad americana que más tarde le sería útil para su ascenso social”. Esta visión se contrasta con lo que la novela muestra más adelante, y es la familia tradicional japonesa y lo que para los japoneses era ser una “familia de nivel”: las que se habían destacado en el pasado, durante la época Meiji (familias que habían fundado una empresa en el pasado o que habían viajado a Europa, o habían perdido familiares durante la guerra). Esta idea de jerarquía social va entrando en quiebre a medida que la ciudad se occidentaliza y que empiezan a imperar otros valores. Todo ese mundo de cambios y resistencias, de pobreza y esfuerzo frente al desdén de una clase privilegiada, de miso mezclado con croissants, es el que atraviese la novela. “-¿Puedes ser tan feliz si te conviertes en exitoso?, preguntó Nanae. I found this completely by chance and now I don't remember my life before I started reading it. I would've been fine reading hundreds and hundreds more pages until every last bit of the houses had crumbled to dust, and nobody lived anymore that remembered these families because it's hard to let go. I don't want to. It's been surreal living with these characters knowing every detail of their lives through the generations. There's a story within a story within a story and now I feel like I have to I found this completely by chance and now I don't remember my life before I started reading it. I would've been fine reading hundreds and hundreds more pages until every last bit of the houses had crumbled to dust, and nobody lived anymore that remembered these families because it's hard to let go. I don't want to. It's been surreal living with these characters knowing every detail of their lives through the generations. There's a story within a story within a story and now I feel like I have to pass it on somehow, like Fumiko did to Yusuke, then Yusuke did to Minae, and now Minae to us readers. I didn't even read a proper synopsis for this before starting it so seeing the label of 'a retelling of Wuthering Heights in postwar Japan' surprised me. You don't have to know anything about the classic to read this. It'll give you hints about where the story may go and how it unfolds, but this sprawls out so much that it isn't worth trying to fit it all in that box. You just can't. I can see how it would entice people to check it out, because I certainly don't have a quick blurb to get anybody to read this, even if I was quite entranced by it. The length of it seems daunting, especially when you're unsure of what you're getting it, but once the layers start unfurling, it all moves so quickly that I myself wanted to slow it down, even if I wanted to know everything about Taro Azuma's past. It rewards you for the effort you put into volume 1. There's so much depth and richness you glean about class and privilege in this society and the difference in upbringings of these characters as times change, and how the relationships move forward from there, with their histories never far from mind, that was utterly fascinating. No soy capaz de escribir algo sobre esta novela ahora. Seguramente mañana lo haga. Tengo pena. Don't let the length dissuade you-the writing is beautiful and I chewed through this thing. I can't speak to how it compares to Wuthering Heights (which is the supposed inspiration) but it's an engaging family drama with a really wonderful sense of place in both Japan and the U.S. Extraordinary. The reviews I read before reading A True Novel compared it to Wuthering Heights, which I think is mmm maybe a little deceptive. I love Wuthering Heights, of course, and it's easy to see where the comparison comes from but this book and its characters don't have the cruelty and the will to destroy the lives of the people they love that you see in that book. Sorry, not sure if that counts as a spoiler. The tale that Mizumura tells is a little bit gothic in the sense that there are g Extraordinary. The reviews I read before reading A True Novel compared it to Wuthering Heights, which I think is mmm maybe a little deceptive. I love Wuthering Heights, of course, and it's easy to see where the comparison comes from but this book and its characters don't have the cruelty and the will to destroy the lives of the people they love that you see in that book. Sorry, not sure if that counts as a spoiler. The tale that Mizumura tells is a little bit gothic in the sense that there are ghosts or spirits in it, but it's not a ghost story. Mostly, the characters are alive but they're haunted by their pasts, so ... like ghosts, but not ghosts. The format of the book is unconventional, but very easy to follow. It's kind of a story within a story, but in more of a 21st century fashion. The author in her prologue explains the distinction in Japanese literature between a true novel (in which the author comes up with a completely fictional world and characters) and an i novel, based on the author's real life. It's kind of hard to tell which this is, since much of the first part of the book seems based very much on the author's life, but with fictional characters inserted into it. Even though this book is two volumes, I raced through it. The paper is thick, the words are not densely packed together. It goes quickly and is an easy read, even though its format is unconventional. One other thing I really liked about this book: My mother grew up in Japan before and during World War II and then came to America in the mid 1950s. She would rarely talk about her childhood and the hardships of life in Japan at that time. This book gives me a pretty good picture of what life was like then, without dwelling on the horrors. It's very matter of fact, about how the world around the Japanese changed from the time of the war to the 1980s economic boom to the years following the boom. Again, Mizumura moves you through it quickly and without a lot of drama, but definitely you learn something. It's like listening ... well, it's what it would have been like to listen to my mother describe it, had she been willing to describe it. No nonsense, here's what it was, let's move on. I highly recommend this book — whether or not you have any interest in 20th-century Japanese history. It’s no secret that I love Japanese literature. There’s something about it that takes over my mind as I’m reading and creates an addiction. It began when I read Haruki Murakami’s 1Q84. That wasn’t so long ago, but it’s become one of my favorite genres. This book I’ve just finished, A True Novel by Minae Mizumura, solidified it even more. A True Novel is a story within a story within another story. It revolves around one mysterious man with a tragic history. The book begins in New York with the narrator relating how she came to meet this man, Taro Azuma, and how she never quite stopped thinking about him, although their acquaintance was brief. By coincidence or by fate, she is approached by a young man who knows much more than she ever did about Taro, and he relates to her the story that was given to him back in Japan. For the first time in ages I found a book that keeps me awake at night; when I found myself closing my eyes and drifting off, I’d reach again for the book thinking, “Just a few more pages!” It reminded me of my time in high school, walking the hallways between classes with my head down and a book open because I wanted to spend every free moment reading it. When I picked it up from the library, I didn’t realize that I only had Book I of a two-volume novel. When I saw that Book II wasn’t immediately available from the library, I jumped on Amazon and ordered by own copy of the set. It came two days later – just in time for me to finish the first book. The first thing you’ll hear about A True Novel from Goodreads or Amazon is that it’s a remaking of Wuthering Heights. If you decide to read the book, forget about that. It has nothing to do with this story. A True Novel stands on its own. So while the book is part metafiction, part reimagining, it’s really an engrossing story that will stay with you long after you’ve finished it. This misty reimagining of 'Wuthering Heights', set in post-war Japan, honestly and brazenly unites the East and West. Now don't let the long prologue throw you off. This book may take you some time to get into (it is 900 pages). Nonetheless, this nestling doll of stories dreamily follows Heathcliff Esque (protagonist) through a childhood, riddled with poverty and discrimination-to then his stupendous growth in wealth. This novel opens beautifully into a study of Japan's postwar Westernization an This misty reimagining of 'Wuthering Heights', set in post-war Japan, honestly and brazenly unites the East and West. Now don't let the long prologue throw you off. This book may take you some time to get into (it is 900 pages). Nonetheless, this nestling doll of stories dreamily follows Heathcliff Esque (protagonist) through a childhood, riddled with poverty and discrimination-to then his stupendous growth in wealth. This novel opens beautifully into a study of Japan's postwar Westernization and infant middle class. What I was most captivated by was the skillfulness Mizumura portrayed with not only his prodigious character development, but his rigid knowledge on Japan and it's people. Mizaumura bridges time, culture, geography, and genre to bring us a haunting, classic tale to the modern world. Most would believe that a 900 page book would become quite tedious after awhile. Yet, Mizaumura is able to intrigue his audience with brilliant character development (you have love for EVERY character in this book) and his complexity in story telling revolving around the Japanese culture and language. I won this book from Goodreads First Reads. This book was an amazing read, I loved how well it was written and how poetic it was. I've never read "Wuthering Heights" before but after reading this book I'm going to have to read it and compare the two stories. This story was definitely not one that I expected and the ending was unexpected as well. If I wasn't a mother I wouldn't have put the book down, the characters and story were so captivating it was almost like the reader was there living throu I won this book from Goodreads First Reads. One of the best novels I've read in many years. A retelling (and relocation: Japan) of "Wuthering Heights" with a surprising twist at the end. The novel has many frames and stories within stories, so it takes quite some time to get to the actual Bronte story--but, hey, it's 850 pages. Chapeau to Juliet Winters Carpenter for the translation! There are some books that move you, entertain you, shock you, as you flip through their pages. Others leave you angry or dissatisfied, only for you to develop a newfound appreciation for them days or weeks after you’ve finished reading, after having let the plot and characters simmer in your mind, haunting your thoughts, an enduring presence while you go through your day. And then there are still others that sink their claws into you from the first page, burrow ever deeper as you progress throug There are some books that move you, entertain you, shock you, as you flip through their pages. Others leave you angry or dissatisfied, only for you to develop a newfound appreciation for them days or weeks after you’ve finished reading, after having let the plot and characters simmer in your mind, haunting your thoughts, an enduring presence while you go through your day. And then there are still others that sink their claws into you from the first page, burrow ever deeper as you progress through the story, and then finally toss you away, dazed and confused, wondering what the hell just happened. That was how I felt at the end of Minae Mizumura’s A True Novel. The story slowly builds over the two volumes of the novel, offering tantalizing tidbits along the way to feed the curiosity Mizumura so effectively cultivated in her interesting take on the prologue, and then, with just one sentence, had me questioning everything I had read up to that point. A True Novel has been described as a modern retelling of Wuthering Heights, and while the main character roles and overall plot are accounted for, there are enough dissimilarities, and the interesting addition of Mizumura into the story through the prologue, that make you wonder, even if just a little, whether A True Novel is actually true. That is encouraged, if indirectly, by the author herself as she describes the difference between a true novel and an I-novel in Japanese literature at the end of her prologue. While a true novel is a work of fiction, an I-novel includes the author in the narrative, whether the story is true or not. The prologue in A True Novel begins as an I-novel, with Mizumura describing her experience moving to the USA, meeting Taro Azuma, and eventually receiving the story that would become the basis for this novel. Does adding an element of truth to a story automatically make whatever comes after it truthful also, or is it a cleverly used tactic to keep the reader guessing? From there the story progresses into the life of Taro Azuma, told from the perspective of Fumiko Tsuchiya, a woman who has been in Taro’s life since he was young and observed the intersecting relationships of the assortment of characters introduced throughout the novel over the years. In addition to her interesting characters, Mizumura goes into detail about the era and social class that each character lived in, helping the reader understand where each character is coming from, why they are the way they are, and why it is so difficult, even impossible, for them to change. Personally, I enjoyed the glimpses of Japanese culture, and its gradual evolution during a time of great change in that country, interspersed throughout the story. Up until this point I was thoroughly enjoying myself…and then the end came and threw me so off balance that I started questioning everything: the characters, the plot, even the title of the book. I’ll go more into that under the spoilers section, but for those who haven’t read it yet, I highly recommend it, so much so that it is my first review. Don’t let the page count discourage you - I think it has more to do with the set up of the pages themselves than the actual content, so don’t see it as something daunting or insurmountable. The characters are alive and memorable, the scenes vibrant and impactful, and the story haunting and harrowing. There are some truly beautiful lines in the story, which not only showcase Mizumura’s talent as a writer, but demonstrate Juliet Winters Carpenter’s ability to preserve the art and soul of the story within her translation. Once you’ve taken up the challenge and seen it to the end, I’m sure you’ll be happy that you did. For those of you who have read the book, or you rebels that like to look at spoilers in advance, I just wanted to address the subject of ‘truth’ that comes into question in the book. Mizumura first brings up this topic during her description of true novels and I-novels – how I-novels are preferred because there is a greater element of truth within their stories, all done by adding the author into the narrative. As I already said, Mizumura, adding herself into story in the prologue, did add a measure of truthfulness to the rest of the novel. But there were also warning signs that that might not have been the case. And I’m not referring as to whether the events written about happened or not; the use of pictures, the addition of Mizumura’s own story, and the actual plot itself could potentially mean that Taro’s story, or portions of it, could be true. When I say truth I mean who can we trust to tell the truth? I’ve read other reviewers describe A True Novel as a story (Mizumura) within a story (Yuusuke) within a story (Fumiko). It’s easy to forget that because Fumiko tells her story so matter-of-factly, and with enough self-censure, that you think she’s providing the entire truth with no embellishments or anything left out. But no matter how unbiased the narrator may try to be, any story told from your perspective will always have some measure of bias and some unconscious effort to make yourself come out looking even a little better, which may be true of Fumiko since she seems to like Yuusuke enough to tell him the whole story in the first place. But this didn’t occur to me until the end of the novel, when Fuyue and Yuusuke are having a drink on their own at a hotel bar after Fumiko has finished telling Yuusuke her story and then learned that Taro has left her the Karuizawa summer residences and the Oiwake cottage. My whole belief in the truthfulness of the story is shattered when Fuyue tells Yuusuke that Fumiko and Taro had a sexual relationship in the past, at a point in Taro’s life where he’s drinking and his relationship with Yoko, even his future, are in question. How does Fuyue know that? Fumiko’s neighbour told her when Fuyue went to pay Fumiko a visit and didn’t find her home. The neighbour nastily informed Fuyue that Fumiko’s “little brother” couldn’t possibly be her little brother considering the noises she heard coming from them next door every night. My issue begins here. Why did Fuyue believe the neighbour? At that point Fumiko is living in a run-down apartment, so seeing someone so fancily dressed as Fuyue coming to visit her, while carrying a bag from an exclusive department store, the neighbour, who from her comments didn’t seem to like Fumiko (“[Fumiko] acts all la-di-da”), could have used that opportunity to bad mouth Fumiko to her affluent visitor, her words true or not. People can be spiteful, which the story has already proven time and again. Fuyue, who was supposed to have been Fumiko’s friend, believed her. On top of that, she believed Fumiko, a woman who professed never to have had any interest in being married and who Fuyue described as being morally upright, seduced Taro. Could this belief have sprung up during Fuyue’s attempt to understand why Taro gave Fumiko, someone he wasn’t related to, all those properties, one being Fuyue’s family’s summer home? Her sisters believed the only reason Taro gave Fumiko those properties was because they had had an illicit relationship in the past. Could she have been influenced by them? Then she snuck in the claim that of course someone like Taro could have been seduced by Fumiko, possibly alluding to his low upbringing making him unable to resist a woman’s advances. While she could use her claim of being Fumiko’s friend to add credence to her declaration, (as ‘friendly’ as someone like her could get with her former maid), she admits herself that she did not know Yoko, and it was obvious that she definitely didn’t know Taro, since Fumiko refused to talk about him. Yoko herself said that ‘they’ couldn’t understand him, ‘they’ possibly referring to anyone outside her, Fumiko and Taro. So how could Fuyue declare with such authority that someone like Taro could be seduced by Fumiko if she knew nothing about him, or about his relationship with Yoko and Fumiko? And then Yuusuke automatically believed Fuyue because it seemed Fumiko, in the beginning of her story, was going out of her way to assure him that that type of relationship could never occur between her and Taro (saying she saw him as a brother, stressing his attraction to Yoko, etc. ), and so her overcompensating meant she was hiding something. His automatic acceptance of Fuyue’s words with no real substantial proof of the allegation bothers me, not only because it seemed as if he was looking for some fault in Taro and Fumiko after hearing their unbelievable story, or for some sort of explanation for their weird relationship in the dilapidated cottage, but because it also goes against Taro’s character, as described by Fumiko. Taro’s level of devotion to Yoko, his inability to see any other woman other than her since the time he was a child, his declaration to her on their reunion that he hadn’t been with anyone ever, even Yoko’s admittance that he wouldn’t sleep with her unless they got married, all now come into question if Fuyue is to be believed. Did Taro lie? Was he so angry about Yoko’s rejection that he was acting uncharacteristically? Did his devotion to her waver? Mizumura had already planted a seed of doubt when she described Taro’s interaction with a secretary at her father’s company during a party, how the way she had grabbed his arm showed a deeper intimacy existed between the two. Even then, Mizumura had come to that conclusion by just watching Taro’s interaction with the secretary, and this was after being stung by his initial refusal to dance with her. Even so, it was enough to cast doubt over Taro’s insistence he hadn’t been with anyone since leaving Yoko. Inferences made from observations, and trusting the word of questionable characters, all lead to the same question: who can you trust? Yuusuke tells the story to Mizumra, tainted by Fuyue’s words. Mizumura writes the story, also tainted by Fuyue’s words. Would certain situations have been seen in a different light if Fuyue had never said anything? In the end, whether you want to or not, you start to question Fumiko’s words too. So, whose story can you trust? I was enjoying the story up until that point, and then that one line from Fuyue just turned everything upside down. I vehemently refused to believe her based on Taro’s character and actions alone, but the source of that information was Fumiko, and whether I had wanted to or not, I was starting to doubt her too. It was for that reason alone that I wrote this review, and added this little rant, since I hadn’t seen any other reviewer cover it. Personally, I think Taro deserved more than he got in the end, especially given everything he went through to become successful and prove his worth to Yoko and her family, and I really wish we knew what became of him. Not having any closure in a story is closer to real life and also true to the framework of an I-novel…so is this a true novel or an I-novel, or a true novel disguised as an I-novel disguised as a true novel? Frankly I don’t know who to trust anymore, and I think that’s why I enjoyed this story so much. Well, I wondered: was A TRUE NOVEL really true? But by the time I was 3/4 through the two-volume work, I decided no, it couldn't be. So two questions arise then. The first is, how do I know it's not true? What are my assumptions about "real" life as opposed to fictional life? I think my conclusion was based on the fact that everything fit so neatly together. We expect this in a novel, consider it a flaw if integrity of plot, at the very least, is lacking. But life isn't like that. Or, rather, may Well, I wondered: was A TRUE NOVEL really true? But by the time I was 3/4 through the two-volume work, I decided no, it couldn't be. So two questions arise then. The first is, how do I know it's not true? What are my assumptions about "real" life as opposed to fictional life? I think my conclusion was based on the fact that everything fit so neatly together. We expect this in a novel, consider it a flaw if integrity of plot, at the very least, is lacking. But life isn't like that. Or, rather, maybe I should say that most people don't experience life that way. Of course, one reason is that our experiences just continue until we die and then, if there is a unity to be found in our lives, someone else has to find it -- or maybe "invent" it is closer to the truth. In this intricately structured novel, we have a story within a story within a story. Mostly, the action takes place in Japan, although the novel begins in New York. As someone who reads at a leisurely pace, I found myself having to glance back at earlier parts, to find information I'd forgotten about characters who were appearing again after a lapse in time. But I didn't mind this. I especially learned a lot about the social stratification and the changes in it over the decades in Japan. Although I lived in Japan for two years, as an outsider, I didn't get to see how the structure really worked. I won't say anything more about the plot because it is so complicated that it would take more time than I have to write and more than you have to read. But I do want to talk a minute about a second question that arose about the title. Not whether it is in fact true, but why someone would name her novel A TRUE NOVEL in the first place. If the plot isn't true, is there something else that the author wants to convey -- some other way that she feels the story is "true." Of course, most serious authors hope that their stories are emotionally true -- but they don't title their novel in such a generic manner. So I'm asking those who have read this novel, what do you think? This book isn’t for everyone. It’s a story within a story within a story, and I happen to love those sorts of things. It’s very long and meticulously detailed (even to an unnecessary extent in some areas), but I found it to be engrossing from beginning to end. While at its core it’s a family drama, it’s also full of details about Japanese culture and changes in Japanese society from 1950 to the present. This was a brand new subject for me and proved to be both an enlightening and entertaining re This book isn’t for everyone. It’s a story within a story within a story, and I happen to love those sorts of things. It’s very long and meticulously detailed (even to an unnecessary extent in some areas), but I found it to be engrossing from beginning to end. While at its core it’s a family drama, it’s also full of details about Japanese culture and changes in Japanese society from 1950 to the present. This was a brand new subject for me and proved to be both an enlightening and entertaining read. I read Book one. It's well-written, but I am SO frustrated that it's taking the author hundreds of pages just to get to the story. It's like if Bronte had devoted 200+ pages to Lockwood. Ugh. Hoping Book Two redeems itself. Saving it for a later date. Beautifully written. An enlightening read. How do I describe this novel? It haunts me in ways that I find hard to articulate and even understand. I picked this book up first, because it was about postwar Japan and secondly, it was about star crossed lovers-a “Wuthering Heights“ set in Japan, or so the reviewers said. ”Intriguing,” I thought and bought the book. But from the very beginning it became clear that this was so much more than a Japanese Wuthering Heights. The book begins with the author, a novelist, explaining that she was given How do I describe this novel? It haunts me in ways that I find hard to articulate and even understand. I picked this book up first, because it was about postwar Japan and secondly, it was about star crossed lovers-a “Wuthering Heights“ set in Japan, or so the reviewers said. ”Intriguing,” I thought and bought the book. But from the very beginning it became clear that this was so much more than a Japanese Wuthering Heights. The book begins with the author, a novelist, explaining that she was given a gift. Someone told her a “story just like a novel” about Taro Azuma, a person her family knew when they lived in New York in the early 60′s. The author explains, however, that trying to convert this true story into a novel in Japanese was difficult. What she was attempting was “close to rewriting a Western novel in Japanese,” but the novel would, of course, have to follow the inner logic of the Japanese language and culture and stay true to the time period of twentieth century Japan. All those difficulties could be overcome, however, writing a “true novel” where the author creates a world like “Wuthering Heights,” in which the author does not appear or narrate, causes Japanese readers to feel that the story is somehow less true. Instead, Japanese authors tend to use the “I-novel” form where the author is present in the story by either narrating or participating in some way as an “I,” thus creating a sense of realism and groundedness that a Japanese reader can identify with. ”What was at stake,” our author notes, “wasn’t what is usually referred to as the problem of realism; rather, it was a problem with the “power of truth.” And so the author decides to employ this “I-novel” form and tells the story of Taro Azuma beginning with her family’s encounters with him. Taro came to the United States looking for a way to overcome his impoverished orphan upbringing. He begins by becoming a chauffeur for a US businessmen but quickly moves to sales for the author’s father’s company and rises to the top. he then leaves that company, riding the wave of the Japanese economic miracle to become extremely wealthy and then disappears, seemingly without a trace. All this our author knew about Taro, but many years later when she was in Palo Alto teaching a class on writing she is approached by a young man named Yuuske, who heard the other side of the story. Disturbed by what he heard he decides he needs to share this with someone and chooses our author because of her distant connections to Taro. Through Yuuske, we hear the full story, of the rich family who took Taro under their wing and their daughter who befriended him, and the gulf of culture and money that drove Taro to the United States. We also meet the three sisters who lived next door to the family and observed the developing connection between the two children and Fumiko the sisters’ maid who became the confidant to the lovers. If this story was only about these two lovers it would not be nearly interesting enough to sustain our interest through it’s 800 pages, but Mizumura fully develops and uses the different characters like Fumiko and the three sisters and their intertwined lives with Taro to full effect, giving a full perspective of life in Japan from the 50′s through to the 90′s. From their personal experiences we learn how the rising economy and the influence of the western world begins to change not only our characters but the culture and values of Japan as well. What was most evocative for me is the time the characters spent during the summer in Karuizawa, a summer resort where I spent every summer growing up in Japan. The descriptions of the old town matches my own memory of those years and the evocative language describing the gentle rain, mist and fog that is ever present, the moss covered walls and gardens, and the old wooden “western style” homes made me homesick and wish I could go back again. Mizumura is a gifted writer and is able to articulate the subtle and not so subtle cultural differences that exist between the US and Japan with a keen eye and a clear truthfulness that I admire. The translation by Carpenter is excellent and transparent so that you are able to sink into the rhythm of Mizumura’s prose without any awkward barriers. The pictures that appear every so often throughout the book make it feel less like a novel and more like a family history or album. I think I will have to sit with this book for awhile. It haunts me and evokes a nostalgia for a time and place that no longer exists except in my memory and now here in this true novel. Minae Mizumura (水村 美苗 Mizumura Minae, born 1951) is a novelist currently writing in the Japanese language. Educated in the US, she wrote her first published work in the English language, a scholarly essay on the literary criticism of Paul de Man. She is often portrayed as a Japanese novelist who questions the conventional boundaries of national literature. Her novels include Light and Dar See 水村 美苗. Educated in the US, she wrote her first published work in the English language, a scholarly essay on the literary criticism of Paul de Man. She is often portrayed as a Japanese novelist who questions the conventional boundaries of national literature. Her novels include Light and Darkness Continued, An I Novel from left to right, and A Real Novel, which has been selected for the Japanese Literature Publishing Project, a national program to promote translations of Japanese literature. She also writes essays and literary criticism in major newspapers and journals. Many of Minae Mizumura's works have been described as highly readable and often entertaining, while, at the same time, resonating with historical significance. They are also known for their formalistic innovations, such as making use of unusual printing formats and inserting English texts and photographic illustrations. Because she returned to Japan as an adult and chose to write in the Japanese language despite her coming of age in the United States and her education in the English language, critics have often noted her particular love for Japanese language and her commitment to Japanese literature. Her analysis and observations on the demise of the Japanese language, detailed in her book of criticism called The Fall of the Japanese Language in the Age of English, gained much attention from the mainstream media as well as the Internet. In the same book, she wrote of the significance of preserving the great literary tradition established during the time of building modern Japan. Minae Mizumura has taught at Princeton University, the University of Michigan and Stanford University. She was a resident novelist in the International Writing Program at the University of Iowa in 2003. She has won the 1991 Agency for Cultural Affairs New Artist Award, the 1996 Noma New Artist Award, and the 2003 Yomiuri Prize for Literature. Minae Mizumura now resides in Tokyo, Japan.